I can't believe September is almost over. I feel like it was last week that we moved to Pittsburgh, and were so happy to have an extra day off for Labor Day. Dave and I are really getting in to a good routine, and I am so happy to finally feel settled. Life is so different than it was in Norfolk. When we lived there, I felt like we weren't really accomplishing anything, if that makes sense? But now we are both working towards goals, which feels so good. Being able to work together as individuals, for the best interest of our family feels so good. Honestly, I had some concerns about this huge change we have made. We went from two incomes to one, and switched it up to a more urban style of living. But really, I think we are doing so well here because we are both so happy with where we are at as individuals. I love my job. Dave loves his classes. We love being able to explore, learn, and grow together while we get to know our new city. Anywho, enough of my rambling. 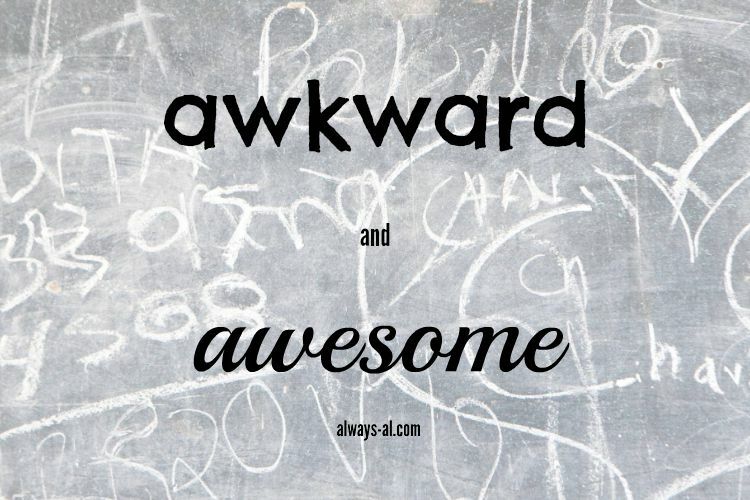 Of course life is awesome, but it is still awkward too. -Since moving to Pittsburgh, we have been doing SO much more walking than we ever have. Last weekend I was walking down the street to meet Dave for happy hour... minding my own business... listening to an audiobook, when BAM. I tripped over the sidewalk right in front of a group of college kids. Smooth one. -Let's talk about post wedding weight gain. I actually started gaining some weight right before the wedding, because I "was on vacation," and indulging in everything. This continued through our move, when we would order out all the time. I don't even WANT to step on the scale, but I know I've gained about 10 pounds. Girl has got to get this rear back in gear. -The weather is nuts right now. It is usually in the upper 50s when I leave for work, but then at lunch time it could be in the 80s, and then in the evening the 70s. No wonder I had a massive cold last week. This weather has also meant TONS of fruit flies in our kitchen. I can deal with spiders, and other creepy-crawlies, but flying insects just infuriate me. I do have a pretty good trap to kill them, but it seems like I can't catch enough! -Guys, I have my own office. With a WINDOW AND A DOOR. Funny story, on my first day, I came into the reception area, and sat down my stuff. I thought that was my desk, until my boss came in and was like....no, that's your office over there. Cue the angels singing. I've been slowly decorating my office, and bringing in stuff from home. Right now it seems so fresh, and bright, with lots of plants, which have remained alive for a month and a half so far! -I have been ADDICTED to reading in my spare time. I told Dave the other night that I just want to read everything, and have it all in my brain. I read mostly fiction, but I have been reading a lot of historical fiction (as per usual), and I want to know everything. If you aren't already, follow me on Goodreads to catch up! -I mentioned it a little while ago, but I was on the hunt for a new water bottle after mine got lost. Well I finally found an awesome one, that was within my budget. I ordered this bottle from Bed Bath and Beyond, and am SO thrilled with it. I put ice water in it before I went to sleep, set it on my nightstand, and it was still full of ice in the morning. Plus you can't beat that price and the matte finish. -Speaking of shopping, I just bought my THIRD Day Designer. I know I mentioned that I was using a legal pad a couple of weeks ago, but my OCD self stepped back in and I have been using my DayDesigner since then. I ordered the Flagship Edition in the Plus print, but I also really love Sweet Geo and Palms prints too. -I got all the materials needed to make a really cool home DIY project. I haven't done a DIY project in a long time that wasn't wedding related, so I'm excited to do something just for fun. I can't wait to show you! Happy last week of September everyone!